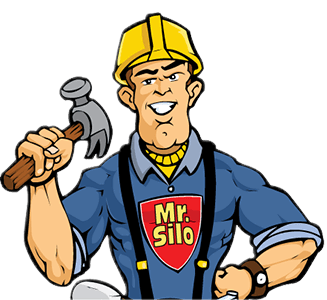 Silo Cleaning Case Histories | USA Silo Service Inc.
Do your bolted steel silo joints leak? Issue: Do your bolted steel silo joints leak? If your facility has bolt together steel silos, tanks or vessels, they may be leaking. If so, they might look like the examples pictured below. Here's why. Over time, if the gasket placed between the flanges that bolt together becomes dry and brittle it creates a weak spot in the seam that can leak. The integrity of the seam can be compromised by thermal differential and pressurization from pneumatic loading or negative pressure from dust collection systems. The solution is to have the bolted seams professionally repaired. The repair consists of caulking all the seams, both vertical and horizontal. Once the caulking has dried, a rubber coating material is sprayed over the caulking at the joints to bond directly to the steel silo. This three step process reduces or eliminates leaks in the seams of the bolted panels. The image here illustrates silos being coated with a final top-coat of rubber coating sealant in white. Notice that all bolt-together seems have been caulked and sprayed prior to the addition of the top coat. Adequate cure time was allowed prior to beginning the top coat application. The two silos pictured have been completely repaired and recoated. Preparation prior to work being completed is very important any time coatings are applied. Applying caulking to reseal bolted seams ensures the water stays out and the material stays in the silos. The rubber coating not only fixes these issues while giving the silos a professional appearance. A Division of the Marietta Group. Serving America Since 1916. ©2019, Marietta Group, all rights reserved. Website designed by OffWhite.